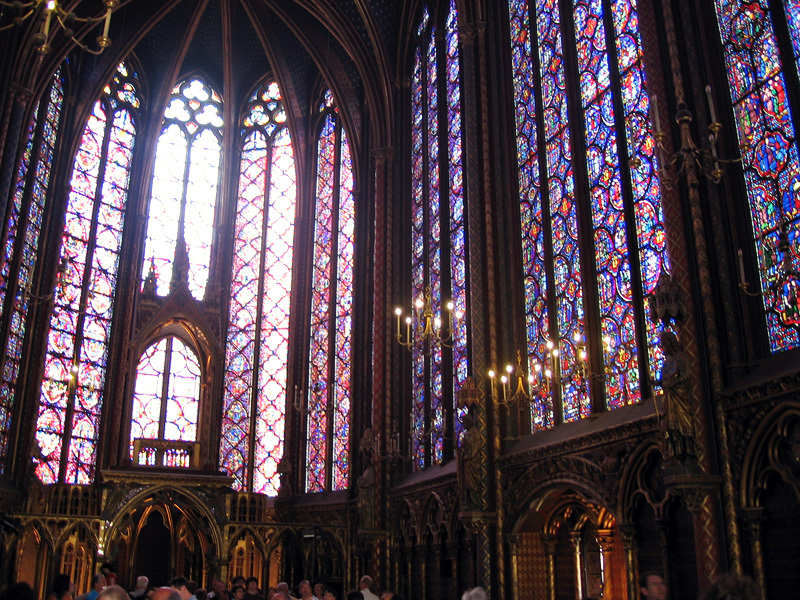 Sainte-Chappelle is one of those places that has to be seen to be believed. I'd heard that it was a 13th-century gothic church with unbelievably beautiful stained glass windows, and I thought, sounds great, but I've seen a ton of gothic churches with unbelievably beautiful stained glass windows all over Europe. Heck, I've seen a ton of them all over Paris. 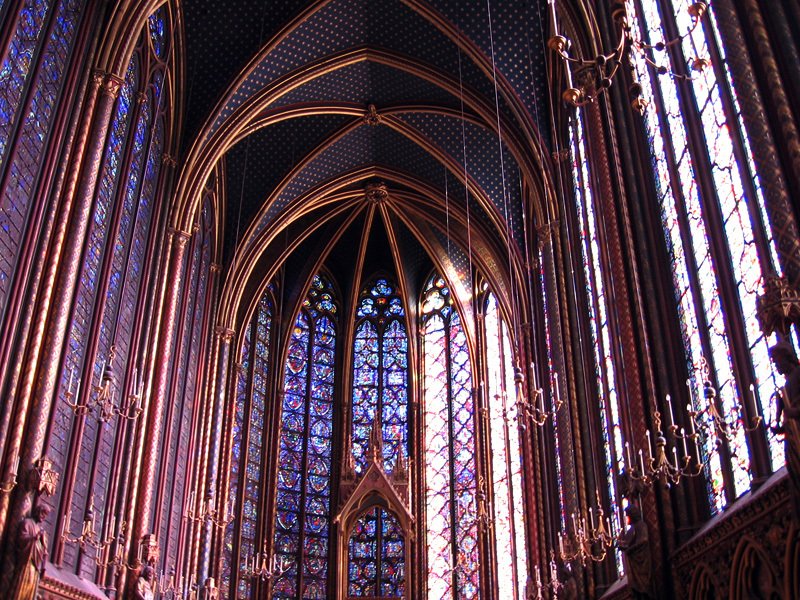 But, man-oh-man, Sainte-Chappelle is something else; something really special. I promise you, these pics don't do it justice at all, and I've honestly never seen any that have. You just have to see it for yourself. Sainte-Chappelle (which means Holy Chapel, by the way) is much smaller than the big gothic cathedrals and basilicas you'll find around Paris, but the entire upper level is covered with tall stained glass windows all the way around, and the colors and decor and ambiance of the place are breathtaking. I've been there three times with various friends visiting me in Paris, and I always look forward to the next time I'll have occasion to go. 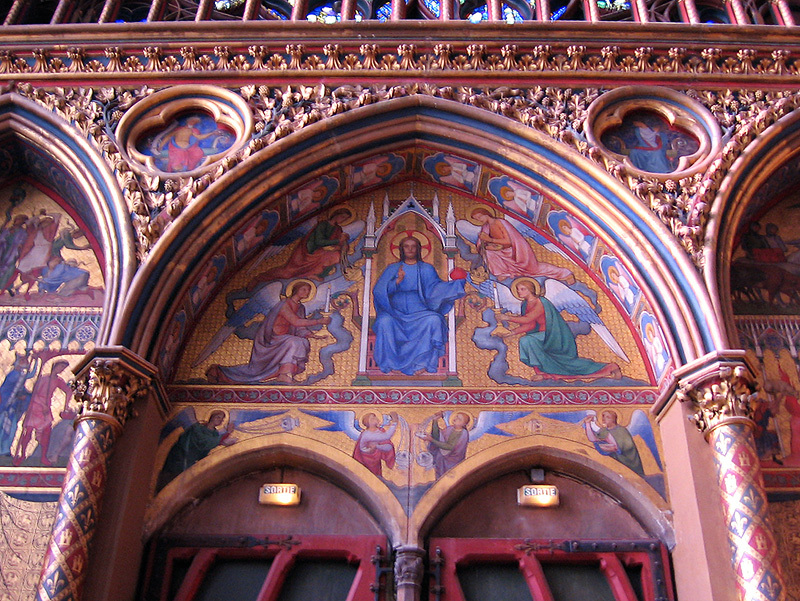 Sainte-Chappelle is one of the very few churches you'll find in France that charges admission, and I definitely hesitated at that when I first heard about the place as a younger and broke-er traveler. Anyway, it's totally worth it, just be sure to check their website for current hours and prices. Because it's a relatively small building you can probably visit the whole place in half an hour or so, although you could definitely spend hours sitting and admiring the beauty of the place if you're so inclined. The weather is really key here. Definitely plan your visit for a sunny day if you can, so you can see all that stained glass at its most glorious. Interestingly, the church has two floors, and if you don't know this but you've heard about the maginificent stained glass you might be very surprised when you first go in! 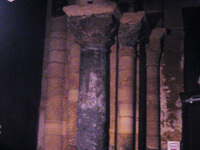 The ground floor has no windows and relatively low ceilings, but is worth exploring. When you're ready, you'll easily find the spiral staircase to go up to the main attraction — take note, there are two spiral staircases at two corners of the room; one to go up and one to go down. There are signs indicating this, but of course some confused tourists go the wrong way, which creates a bit of a traffic jam in the very narrow winding staircases. 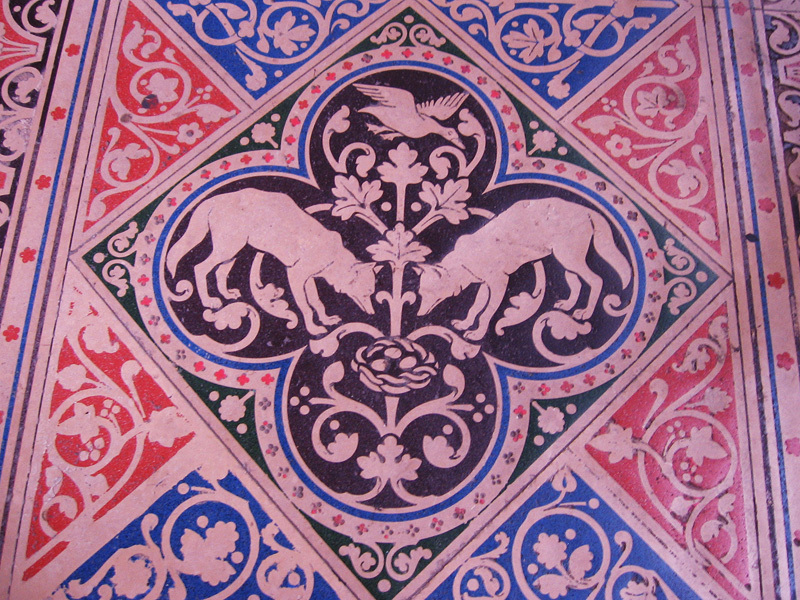 This wolf motif is just one of many gorgeous animal patterned tiles on the floor of Sainte-Chappelle. 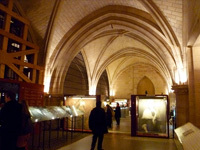 Take the Métro to Cité , which is on Île de la Cité, the island on the Seine where Notre Dame is. You want to find your way over to the Boulevard du Palais, which is to the West. 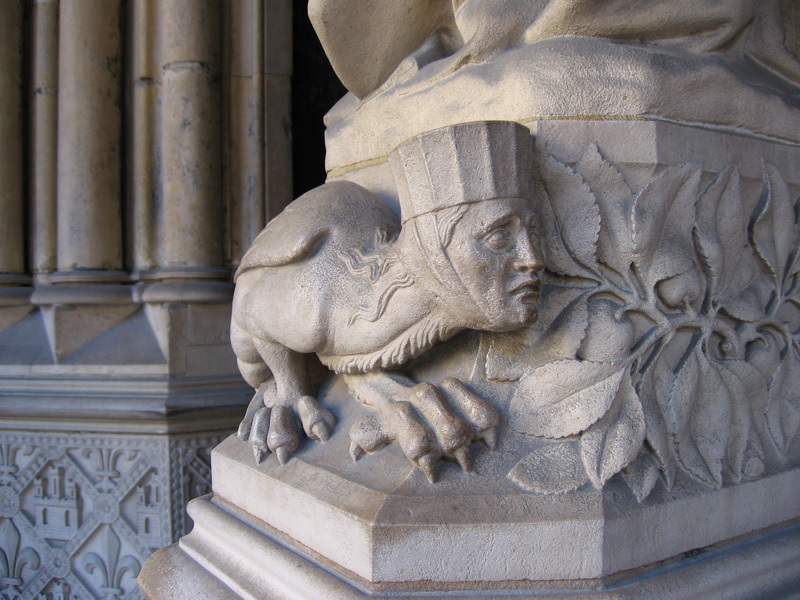 So, as point of reference, if you're looking at the front of Notre Dame you want to turn and walk away from it. Sainte-Chappelle is weirdly situated inside the courtyard of another big building called the Palais de Justice; the court house and police station. 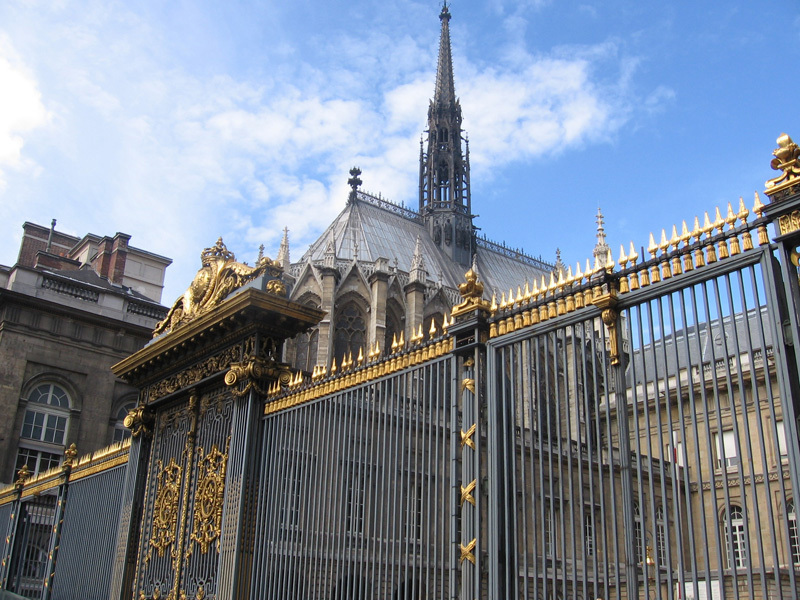 When you're on the Boulevard du Palais you can't miss the big gold and iron gates of the court house (pictured above), and if you look back and to the left from there you'll see the top of Sainte-Chappelle peeking out (see?). 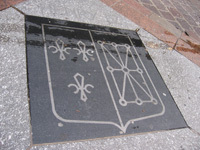 The entrance to Sainte-Chappelle is over to the left of here. As I recall you have to pass through a metal detector to get into this complex of buildings, since it's also where the court house and police station are. Anyway, you'll see signs for all this stuff once you're there. 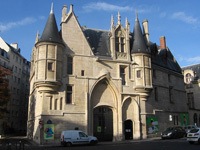 It's also worth noting that along this same street is the entrance to la Conciergerie. 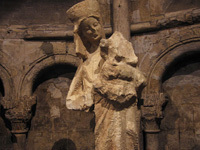 You could easily visit Notre Dame, Sainte-Chappelle, and la Conciergerie in one nice long morning/afternoon. I snapped this picture of this melancholy-looking little dude on the way out. Maybe he couldn't scrape up the cash for the ticket; bummer.